COVINGTON, Ky. -- It has been four years since house and interior designer Kathy Koper started looking for someone to buy her 140-acre Kenton County country estate and event center. Among those who have considered it were two winery owners and a group of doctors who planned to grow medical marijuana. The grounds would be great for either endeavor, Koper said, but the potential buyers pulled back. 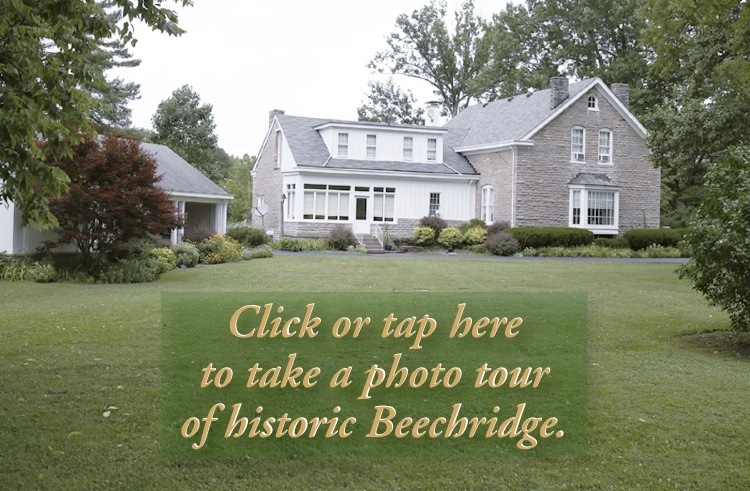 Koper has owned the property known as Beechridge since 1981, running it as a center for events , including conferences, weddings, family reunions and retreats for church and school. It would make a great bed and breakfast inn, she said, but it could as easily be a rehabilitation center, a prestigious residence – like it was originally – or a large family’s summer retreat. Deed and history research taught Koper a lot about her land. She found that the stone for the house came from the property, that it had been a tobacco farm and a vineyard with seven 8-feet-wide by 10-feet-deep cisterns and that the lake used to be a creek. But she never learned the name of the original owner. “It must have been a wealthy person because in those days it would have taken a couple of years to build,” she said. There was no local railroad in the early 1840s, meaning the only way to get construction materials to the site was by boat on the Licking River a half mile away. The house was about half the size it is now until the early 1960s, when previous owners Art and Mary Willenborg broke through a 2-foot-thick wall of stone into the attached barn. They created a dining room, full bathroom, kitchen – it had been in a separate structure away from the house – and a summer porch in the stable area and bedrooms in the former hay loft. The Willenborgs added electrical and heating systems, among other improvements. The improvements Koper has made in her 35 years at Beechridge include extensive landscaping, air conditioning on the first floor, kitchen updates and closing in and reflooring the summer porch with slate she found stacked on the property. A 4-bedroom, 4-bathroom, European-style house built in 1843 out of local stone. A 3-bedroom, 2-bathroom, 9-year-old house Koper designed and built for herself in 2007. A 10-acre lake rimmed with wild hibiscus shrubs and filled with bass, blue gill and crappy fish. A kidney-shaped, in-ground swimming pool with a pool house. Enough grass to keep a mower riding for nine hours up to two times a week. The kitchen, hasn’t changed a whole lot since the mid-20th century. Koper recently installed a new Bosch dishwasher but chose to keep the turquoise, push-button General Electric stove. “I’m going to leave it to the buyer to decide what to do in here,” she said. Special touches she made to the space include adding a custom copper hood over the island stovetop and building a food-preparation table to double the island’s dimensions. Vinyl flooring was removed and replaced with ceramic tiles that continue into the adjacent dining room. The front of the house, which guests enter from what appears to be the side as they approach it, features a wide, railed porch and a projecting gable with a balcony. The white entryway is classic Palladian with fanning mullions in the transom. The entry hall, which, like the other first-floor rooms in the original house has 12-foot ceilings, features a 173-year-old cherry staircase rail and newel post as well as wide white doors that lead to 15-by-30-foot parlors on either side. The parlors’ window panes are wavy, indicating they likely are original. Both rooms, however, have been altered over the years, the most obvious change being the elimination of two fireplaces and addition of a modern stone fireplace in what Koper said was the music room but has been the living room in modern times. The dining room the Willenborgs added has sliding glass doors leading out to an oval concrete patio that faces the unnamed lake. Like the old kitchen, it shows remnants of its mid-century design: a built-in cabinet with a Formica countertop. The ceilings are a couple of feet lower on the second floor, where the bedrooms are located off of a central hall, and air is circulated by two industrial fans. The most surprising room is what Koper calls the dormitory: a wide room in the hay loft space where the ceilings slant to accommodate the roof line and drop to 6½ feet. There are six single beds in the dormitory, but it could be converted into an intimate family room unlike any downstairs space. An empty nester for years, Koper has been a one-woman show most of the time, hosting memorable events such as a fall wedding that featured a bagpiper and a horse that got spooked by applause at the end of the ceremony and ran off with its carriage. Koper said she feared the horse would head toward the lake, but the carriage handler stopped that from happening. Then there was a 2015 wedding reception at Beechridge that ended at 10:30 or 11 p.m. with a helicopter landing on the front lawn to whisk the bride and groom away. She said she is very ready to give up her events business and Beechridge but that she will miss the serenity of living in her lakeside house and watching the hibiscus bloom each year.